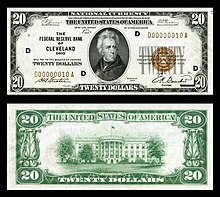 ^ "U.S. Currency FAQs". U.S. Bureau of Engraving and Printing. Archived from the original on May 5, 2015. Retrieved 13 May 2015.